Bates Research interviews our most senior experts to get their perspective on the latest regulatory and compliance concerns affecting clients today. 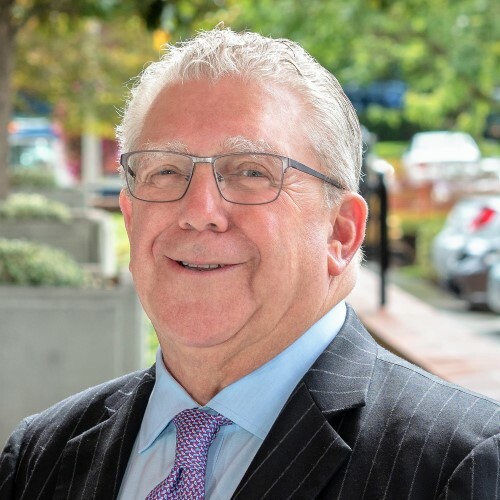 We sat down recently with R. Gerald (“Jerry”) Baker, a Consultant with Bates Compliance Solutions who has over 45 years of financial services and compliance experience, and asked him to share his observations on some of the current challenges confronting broker dealers and RIAs, including trends, resource constraints and individual and firm accountability. Bates Research: Jerry, thanks for sharing your time with us. Let’s start with a bit about you and your background—please share with us some of the highlights. Jerry Baker: Glad to be with you. I’ve been fortunate to have had an extensive career in our industry. It started on the operations or “back office” side, followed by financial reporting and administrative roles. For a short period I was also a registered representative with two major firms. My compliance career began in 1966, and I remained in compliance up until my retirement in 2001. I served as the Chief Compliance Officer (“CCO”) for First Union Securities following its acquisition of EVEREN Securities (formed by the consolidation of five broker-dealers owned by Kemper Corporation). Prior to that I served as the CCO for Prescott, Ball & Turben, Roney & Co. and briefly Morgan Stanley. I also co-chaired both SIFMA C&L working groups on its White Papers the Role of Compliance and The Evolving Role of Compliance, and I am a contributing author in the book Modern Compliance. From 2001 until 2014, I served as Executive Director and Special Advisor to SIFMA’s Compliance & Legal Society and was the recipient of the SIFMA C&L Alfred J. Rauschman Award in 2011. In the past fourteen years I have also served as the Independent Consultant required in a number of SEC enforcement settlements. BR: You are currently working with clients facing serious compliance challenges. What areas do you see as the most troubling for broker-dealers or RIAs today? JB: From a year-to-year perspective, broker-dealers and RIAs must pay attention to subject matter priorities that agencies identify through their examinations findings. As a general matter, though, firms are always challenged by costs and resource constraints, which are often affected by their size. BR: Let’s talk about specifics. What are some of the top subject matter concerns you are seeing? JB: There were many highlighted agency priorities this year. Take elder financial exploitation, for example—every industry regulator, including state regulators and attorneys general have announced robust compliance and oversight programs focused on elder abuse by broker-dealers and investment adviser firms and their registered representatives. They’ve prioritized this in their respective examination programs and, as recently seen, they will take both administrative and criminal action against firms and individuals for misconduct affecting seniors. I am also seeing a good deal of concern with compliance on Mark Up/Mark Down. These compliance issues are particularly challenging and complicated for non-traded securities. I’ve seen this firsthand with closed-end bond funds. I would not be surprised to see more enforcement actions against not just wrong-doers, but also against supervisory and control persons. I warn compliance professionals that they should not feel they are in a safe harbor. In addition, I would say that regulators are increasingly concerned about compliance with, and the adequacy of, disclosure. Look no further than FINRA’s recent regulatory initiative on 529 Plan Share Class enforcement for a sense of things to come. From a compliance point of view, the not–so-simple point is that firms should be mindful to present the requisite knowledge, support and supervision for all the types of businesses or services they offer. BR: Tell us more about what you meant by resource challenges for firms. JB: Resource constraints are a challenge for every firm, regardless of size. That is to say, how should they best commit financial and software development to regulatory support and compliance programs? Regulators have made it very clear that every firm will be held to a high standard to develop, implement and maintain compliance, supervisory and other internal control programs designed and tailored to its businesses and business model. In the last few years many firms have streamlined their compliance and internal control programs in an effort to manage expenses while still meeting regulatory expectations. A number of times they fall short, which raises questions about the depth of their programs and, therefore, increases risk exposure. Deep down, firms are always trying to find the right balance as to the resources—personnel, technology as well as outside resources—they can commit. This can present big problems for many firms. Sometimes, they learn the hard way that their “adequate” system” may not meet regulatory expectations. Firms that recognize the potential risk often retain independent third parties to help evaluate the efficacy of their compliance, internal control and supervisory systems. Of course, the best time to do this is before a regulatory action occurs. BR: How are these resource and compliance challenges you are seeing affecting RIAs? JB: I see particular challenges regarding costs and resources in the RIA space. Independent RIAs often do not have the financial or personnel resources to develop meaningful internal supervisory and compliance oversight programs. Even when there is someone named and delegated with these responsibilities, too often the person does not have the necessary experience for the role or the authority that is needed. I have seen an overreliance on cookie-cutter, third-party service providers for support. In many instances this “one-size-fits-all” approach is inadequate because it fails to match the firm’s businesses or business model. A similar issue, where attempts to keep costs down actually winds up costing more in the long run, is in the area of clearing and operations. Support for these functions is frequently provided by an unaffiliated broker-dealer who has very limited compliance responsibilities. In recent assignments, I’ve seen firms subscribe to the bare minimum of support in an effort to keep costs low. Some perspective is important here. The independent RIA may be a registered representative with an unaffiliated broker-dealer. The broker-dealer sees the RIA business as an outside business activity and wants to limit its oversight liability in these cases, but FINRA has made it clear that the broker-dealer has supervisory responsibility for what is considered an outside business activity. The dual-registrant business model has its own unique supervisory and compliance challenges, too. Some firms design separate supervisory and compliance structures for each business, while many, particularly those with limited resources, use the same compliance resources for both. BR: Robert Cook, President of FINRA, announced at the January 2019 SIFMA C&L luncheon that FINRA is developing its examination program and staffing based on a firm’s size, businesses, resources and regulatory history. Would that address the concerns you are raising? JB: It would help in many ways. However, it’s important to note that over many years, both FINRA and the NYSE (and legacy NASD), have proposed this concept. Their efforts have never fully materialized or met their intended goals. Hopefully, the newly announced effort will be developed and implemented because both the industry and FINRA will benefit. As to firm size, it is important to understand that regulators don’t look at how big your firm is as they are focused on the businesses and services you offer and the resources you have versus what they believe are necessary to meet your regulatory obligations. Certainly having the right budget to meet these obligations is critical. But, as all firms know, they are challenged to manage with what they can afford. This is where Bates and its services often come into play. We can make an assessment of a firm’s supervisory, compliance and internal control systems and also provide support on an as-needed basis to assist in developing, implementing and monitoring programs. This is what I do—conduct independent, first-hand reviews on prioritized areas. That usually results in an initial report, assessment and enhancement recommendations and other evaluations on implementation and continued monitoring. BR: Thank you very much, Jerry. We appreciate your compliance insights. The Bates Compliance Solutions team of experienced industry professionals provide comprehensive offerings for broker-dealer and registered investment adviser clients, assisting them with supervision, compliance, risk assessments, WSPs, AML, and internal audit functions. BCS can perform as-needed or ongoing reviews and guidance to meet your regulatory compliance obligations. Our seasoned professionals closely review and test policies and procedures, supervisory and compliance processes, and the related practices involved in operating your business, recommending changes and industry standards to supplement and enhance clients' compliance and supervisory systems, and to remediate the results of regulatory, litigation, and internal audit findings and decisions.